For quite some time now, AI has been a buzzword that piques the interest of those both inside and outside of computer sciences. AI has also found itself being applied to many different industries, one such being that of Medicine and Healthcare. The use of AI within the field of medicine may not seem obvious at first, but it has actually been applied for many years now. For example, with robotic surgical systems that make it possible to perform incredible precision surgeries, or even through lab information systems that work towards the detection and monitorization of infections within hospital patients. However, there are two main ways that the medical field is planning on leveraging AI into the future; in diagnostics and in treatment. AI is being leveraged in the area of diagnostics through decision support systems. These systems vary from specializing in the analysis of symptoms to optimizing electronic health records, including the patient’s genetic information. Ultimately, they both can contribute greatly to not only determining a current ailment but identifying the risks of future health conditions. These decision support systems also make available resources such as public databases, textbooks, and journals, acting as a specialized, trained internet for physicians and caregivers. In terms of treatment, AI is leveraged through systems that provide support in determining appropriate methods. These systems combine information from fellow physicians concerning the frequency with which they prescribe particular treatments or request certain lab tests, in addition to data collected on patient outcomes and the latest clinical research. Fundamentally, these systems act as web-based archives of medical information and insights in order to provide more personalized treatments and as a result, improved outcomes. Given the significance of both the roles of diagnosis and treatment within the healthcare industry, AI is able to have a profound impact. Having the ability to automate these aspects leads to three primary benefits that impact not only patients but physicians as well. These benefits are improved speed, increased accuracy and the ability to allow physicians more dedicated time with patients. Through AI and the technology it relies on, there is a dramatic improvement when it comes to the speed with which physicians can then diagnose and treat their patients. This is due to the fact that massive amounts of data can be collected and analyzed by AI applications, producing possible diagnoses and suggested treatments in a much quicker manner. Another way in which AI is contributing to speedier processes is in the emergency room. There are a number of projects being developed that aim at determining which patients are in need of urgent attention and which can safely wait. The Viz.ai. firm, for example, has developed a software that uses brain scans to detect strokes as a means to ensure the patient is seen by the right doctor at the right time. Technology such as theirs has the potential to drastically improve outcomes through speedily identifying urgent cases, while simultaneously informing the appropriate specialists and forwarding them the scans. The use of AI in medicine also has the potential to increase the accuracy of not just the diagnosis, but of the treatment as well. Where diagnostics are concerned, multiple AI softwares have been developed and trained towards specific areas. For example, in oncology, an AI software was trained and tested against a group of 58 dermatologists in 2018. Ultimately it was found to be almost 10% more accurate in identifying skin cancer, from the most common form to the deadliest, including making fewer misdiagnoses. In terms of treatment, AI can be seen to lead the way towards what is being termed precision or personalized medicine. What this means is that through the application of AI, treatments will no longer be based on generalized statistics or ‘the average person’. Bertalan Meskó (MD, PhD) describes the shift as one towards “targeted treatments, personalized therapies, and uniquely composed drugs.” AI is also improving treatment accuracy by providing physicians with appropriate alternative treatments should the initial choice not be available or not be a viable option for the patient. 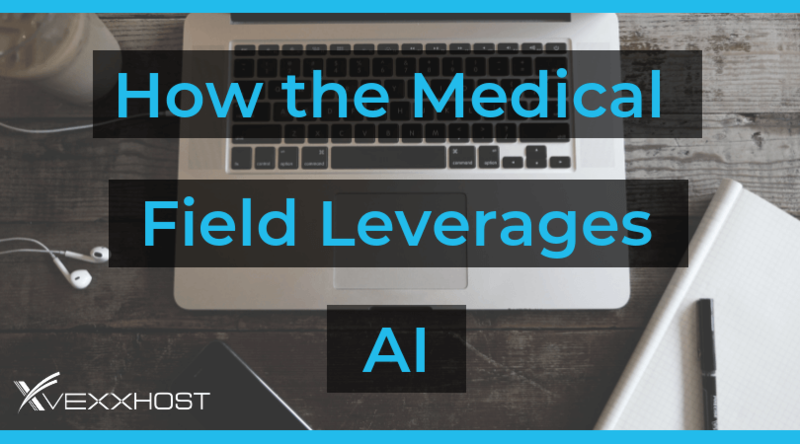 By learning to manage and master the automatable aspects of the medical field, AI stands to benefit physicians just as much as patients. Based on a U.S study, doctors are only able to spend 27% of their time with patients, while the rest is dedicated to clerical work, data entry and EHRs. The ability for physicians to spend one-on-one time with their patients is crucial as many became healthcare workers for that reason alone. Also, the overwhelming amount of paperwork and documentation allocated to physicians takes up most of their day, leaving them with hours of homework. Combined, the lack of doctor-patient interaction and consuming paperwork can lead to burn out. Therefore the growing use of AI in the healthcare industry isn’t with the intention of replacing healthcare workers and physicians, but to free up their time, encouraging a focus on effective use of human strengths and skills. The application of AI within the field of medicine and healthcare has the potential to not only improve the lives of patients, but improve outcomes as well. Whether it’s through decision support systems that can speed up the process of diagnosing a patient, software that can help prioritize urgent cases, or systems that can access and analyze a wealth of medically relevant information thus improving treatment accuracy and outcomes. AI also has the ability to help re-position the paper-laden workload of physicians so that they can spend more one-on-one time with their patients. Ultimately, as one of the most important and impactful industries, medicine and healthcare stand to gain immensely as they continue leveraging the power of AI.